Twin room tucked under the eaves stacked with books and games, kids love it! 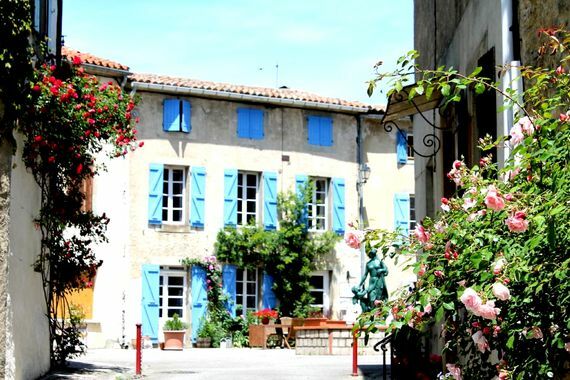 In a peacefully traffic-free square of a very French little village, Chez Maison Bleue is a fab find in the Languedoc to escape the frenetic, stressful pace of modern family living. 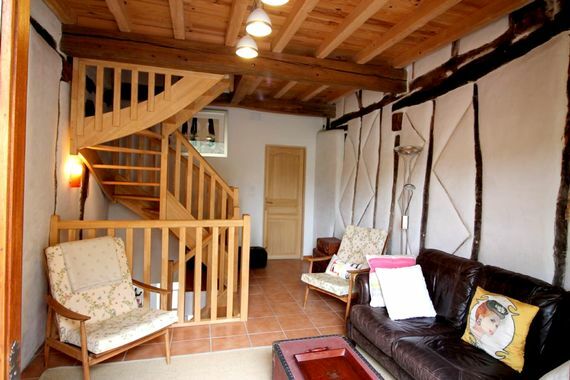 It’s as if time has long since stood still in Sonnac sur l’Hers and with that in mind, the owners have been very careful to preserve the quintessentially French character of their 18th century home when creating a boutique B&B and 3-bedroom holiday cottage. Ancient beams, exposed stone walls and traditional architectural features show the history of the property and the owners have enhanced this with an effective blend of old and new, timelessly tasteful decor, antique furnishings and luxurious finishing touches. 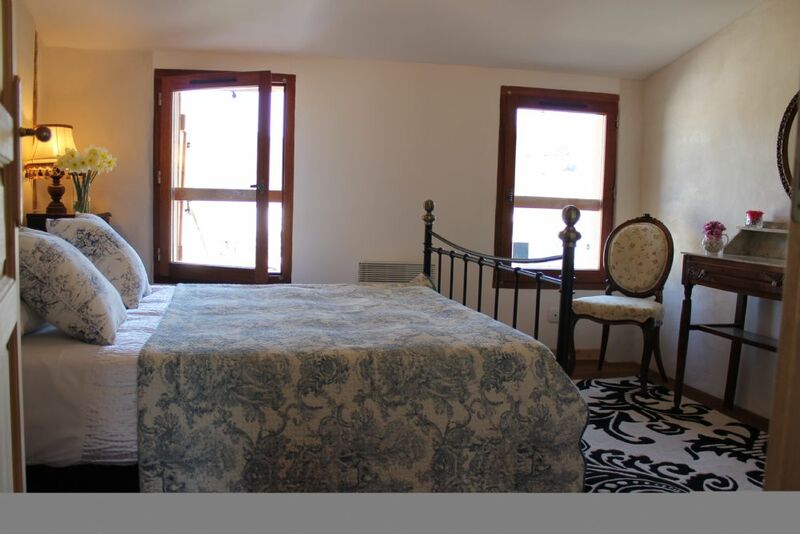 Pooped parents can sink into big comfy beds, feather duvets and claw foot baths or sample a local Languedoc wine on the terrace, plus there are cots, puzzles, books and DVD’s for youngsters and free wi fi. 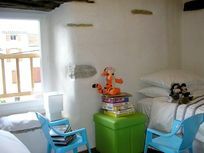 Children will also enjoy bird watching from the back door and listening out for the resident owl. Besides getting the ambience just right and making families feel very welcome, the owners spoil guests with quality home cooking for breakfast and dinner. Each morning, artisan breads, honey, croissants, seasonal fruits and endless coffee are among the goodies served on the terrace and for a more hearty start to the day, guests can tuck in to Toulouse sausage and eggs. In the evenings, 4-course dinners, with aperitifs and wine, include succulent local meats, Mediterranean seafood and desserts using apples from the orchard on the hill. Chez Maison Bleue consists of one double bedroom and one family room which are available on a B&B basis and a self contained holiday cottage for up to 6 people. The B&B rooms have space for a cot and are adjoining which makes them ideal for extended families to book together, sharing a huge bathroom with a claw foot bath, separate shower and dressing room. 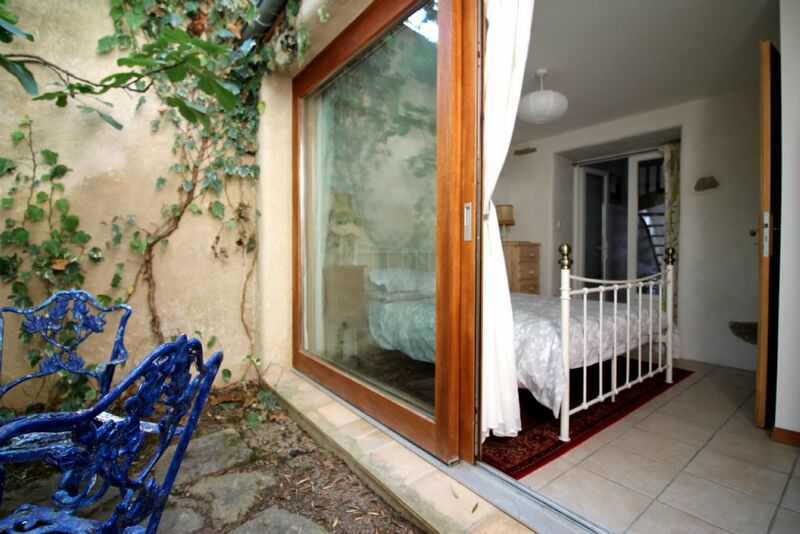 The B&B also has a large sunny terrace. 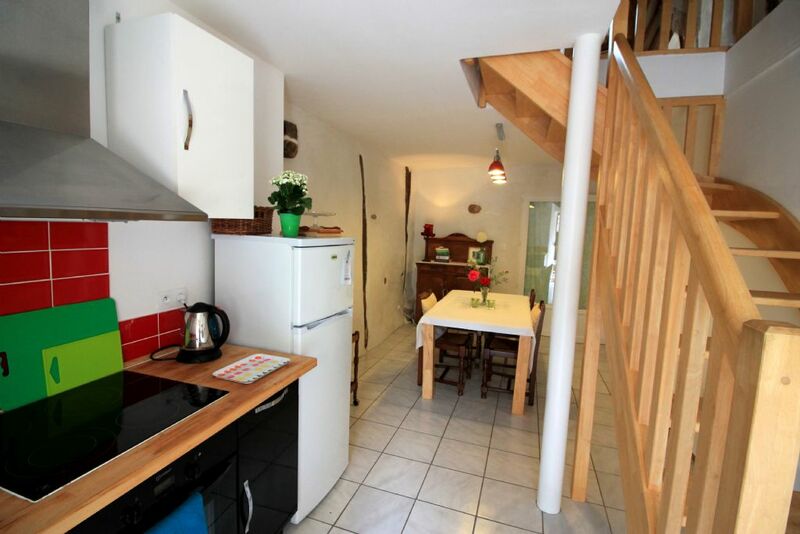 The holiday cottage at Chez Maison Bleue has its own access from the village square into a contemporary kitchen/diner on the ground floor. 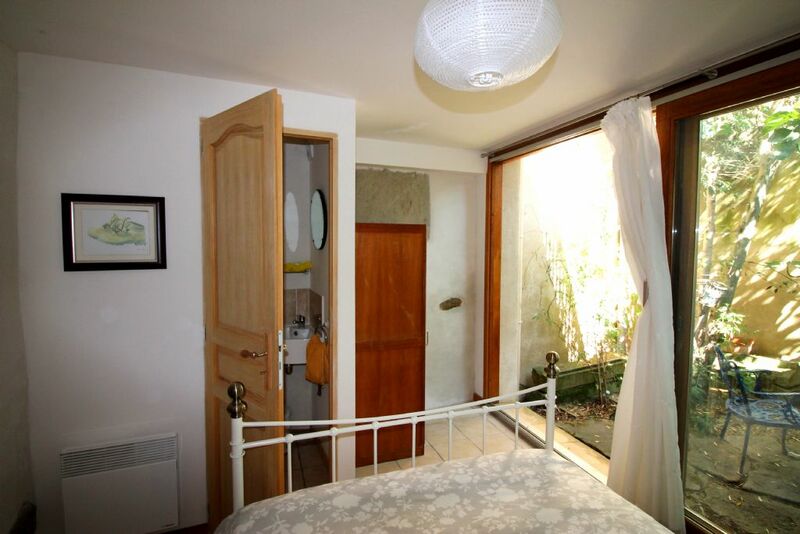 One double bedroom, a WC and a ‘secret’ garden with a table for two are also on the ground floor while the other double bedroom and a twin bedroom are on the second floor. In between, on the first floor, the cottage has the main bathroom, with a roll top bath and shower, plus the lounge which leads to sunnyterrace with dining for six and views across the churchyard to surrounding fields and hills. Sonnac sur l’Hers is one of those sleepy French villages, apparently untouched and unspoilt by the modern world, nestled in the foothills of the Pyrenees, deep in the South of France. A bakers and a butchers van still deliver into the village as they’ve done for generations and the nearest town for bars, restaurants and a boulangerie is Chalabre (3km). 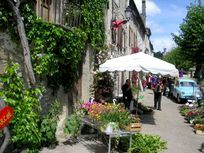 Medieval Mirapoix is only a few minutes’ drive away and on Mondays a large and lively market comes to town, where the local produce, fruit, veg, cheeses and hams are a sight to behold. 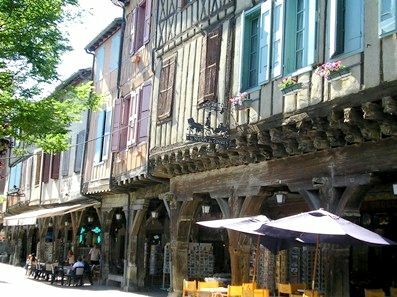 The most famous tourist spot in the region is the world heritage site of Carcassonne, less than an hour away, with its bustling walled town and medieval events to transport wide eyed youngsters into the colourful world of knights and princesses. 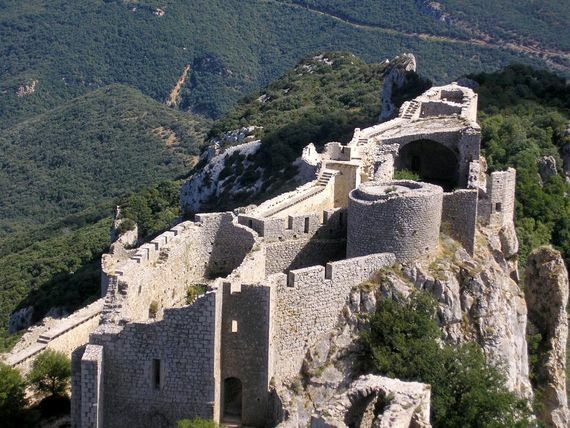 The region is also strewn with ancient castles perched on craggy peaks and is a natural adventure playground for biking, hiking, birdwatching, horse riding and skiing in winter months. 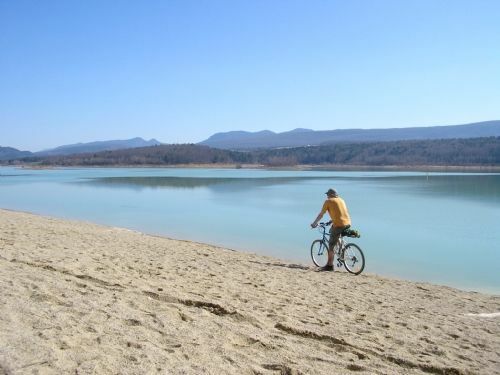 Sandy beaches, swimming and watersports are just 5km away in the beautiful Lac Montbel. 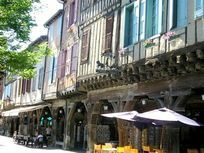 For wine lovers, the region is renowned for its Fitou, Corbiere and Malpere varieties, with vineyard tours and tastings widely available and the local sparkling wine, Blanquette de Limoux, is a fine AOC classified tipple. Getting there: Carcassonne is the nearest airport (60km), with Ryanair flights from Stanstead, Bournemouth, Cork, Dublin, Brussels, East Midlands, Glasgow Prestwick & Liverpool. Toulouse is 1.5hrs, with Easyjet flights from Bristol and Gatwick or Jet 2 flights from Newcastle, Edinburgh, Leeds Bradford& Manchester. 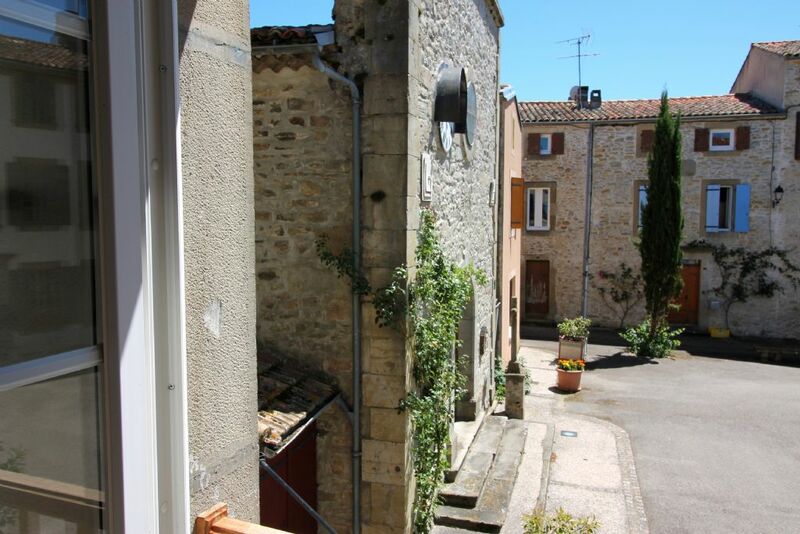 We love the Frenchness of where we live, on the peaceful village square, nestled in the foothills of the Pyrenees, surrounded by wildflower meadows, woods, lakes and mountains. 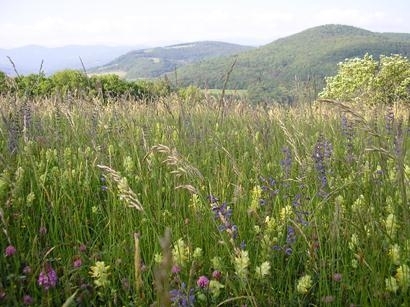 Close to beautiful medieval Mirepoix, Carcassonne and Toulouse airports are an easy drive. Do as much or as little as you like - the walking, cycling and wild swimming are fabulous. 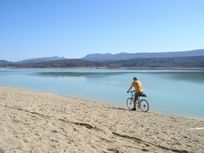 Horseriding, white water sports, sailing, tennis, all available close by. Step out the back door onto the GR7, a path that leads to Spain, watch the Tour go through in July, shop at the many farmers' markets, the brocantes are great for quirky antiquities, or if all this is too much, simply put on a CD, chose a book from our library, and take a day out on your priate roof terrace with the sound of cowbells for company. 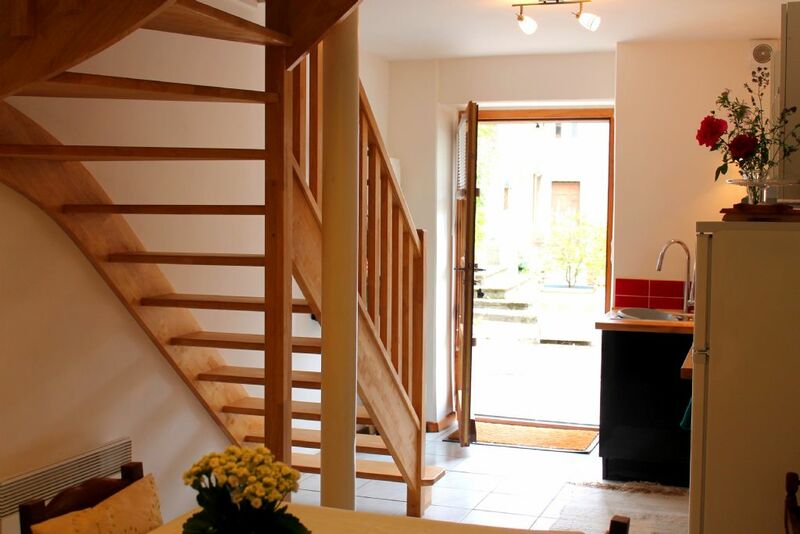 A chance to step off the corporate treadmill for a while will be a good choice for many, late, leisurely breakfasts and suppers lasting long into the evening to be enjoyed on your own private roof terrace or for a break from self catering, are available to you at our chambres d'hotes next door. 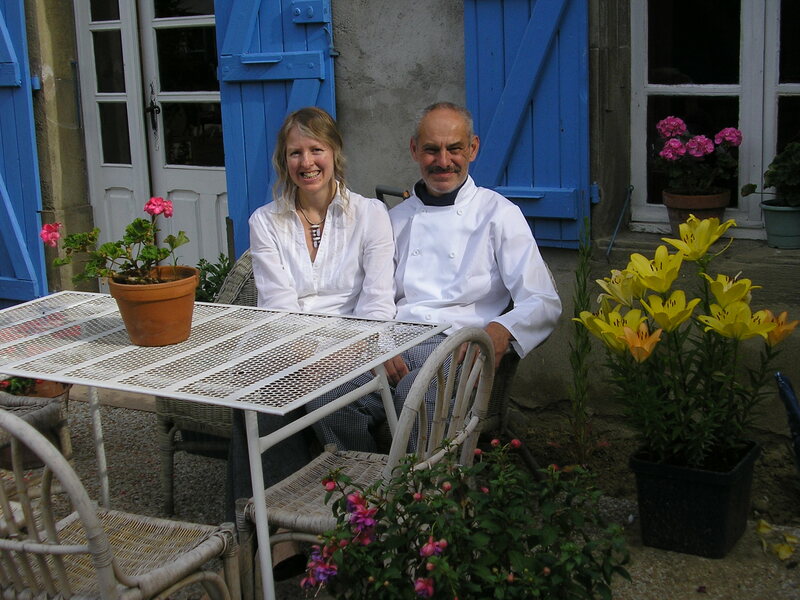 Nick's food has great reviews, traditional French home cooking with a fine dining twist. the food is fresh and local, much of it produced organically ourselves. 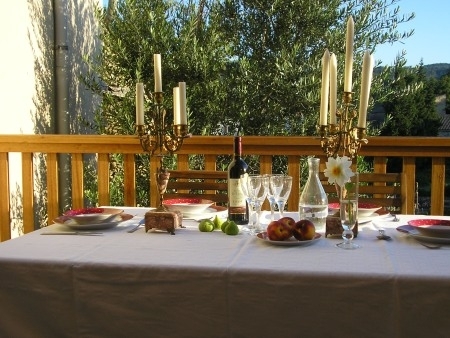 Put the kids to bed and in summer enjoy supper on the square by the church or on the candlelit terrace. In the cooler months, the exposed stone walls of the dining room create a lovely ambience. Languedoc enjoys exceptionally good summers, it can be baking hot from June - August, the warm temperatures lasting long into the evening. 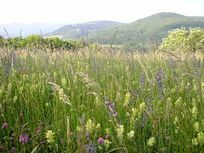 In Spring the fields behind the house are filled with wild flowers, tables and chairs begin to appear outside the cafes and the first bounty of the hedgerows appears. April - May and September - October can be very warm and perhaps more manageable for younger children. Lovely times to explore the region, avoiding the summer crowds - and lower prices for the cottage too. 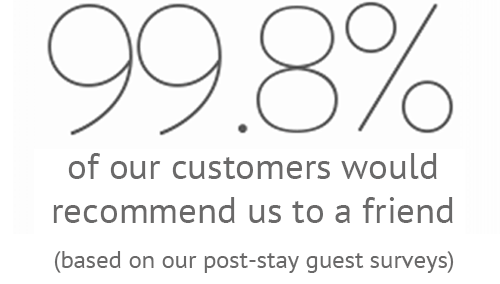 We offer family friendly accommodation. Baby equipment, books, toys and games for all ages, childrens' DVDS. The scooter is a great hit for whizzing round the fountain. For a break from self catering, high teas for children and delicious 4 course dinners for mum & dad. The house is on a peaceful village square, closed to traffic (except for loading & unloading) so a safe place to play. No need to use the car every day. Loads of exploring from the house, scrambling up the hills at the back, fishing for tiddlers in the river, cycling along the myriad of tracks and quiet roads that lead from the village, bike hire is available locally. 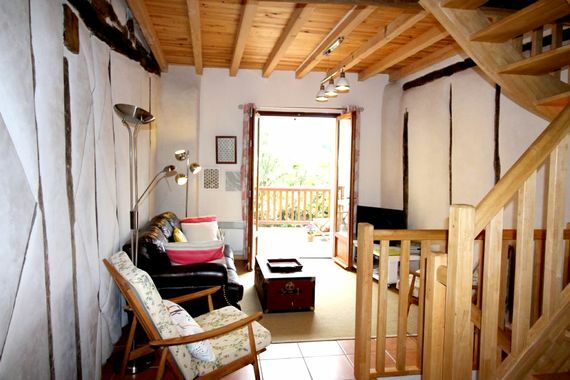 The wild swimming is a treat, the sandy beaches and warm waters of Lakes Montbel and Puivert are close, and Carcassonne Plage makes a great alternative to the coast. Explore impenetrable medieval Cathar castles on rocky outcrops, the history of the region is fascinating for more studious types. Learn how to make fire and to hunt at the Prehistoric Park in Tarascon, the cave paintings are worth a visit too, some are reached by boat. There are cavaliers and sword fights galore at the fairy tale cite of Carcassonne, the butterfly farm and dinosaur museum are great for younger children, and older kids can risk life and limb white water rafting. Horse riding, sailing, tennis are all close by. Children of all ages can experience the ancient French culture of this unspoilt region of Languedoc and the Midi where French, not English is still spoken, the older people still using words from the ancient language of Occitaine. 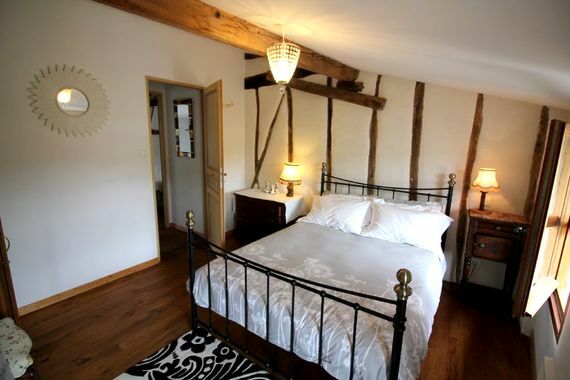 Sleeps 6 in 2 double bedrooms and 1 twin room plus cot, 1 family bathroom with roll top bath, 1 bedroom with ensuite WC. Babysitting is available but must be pre-booked. 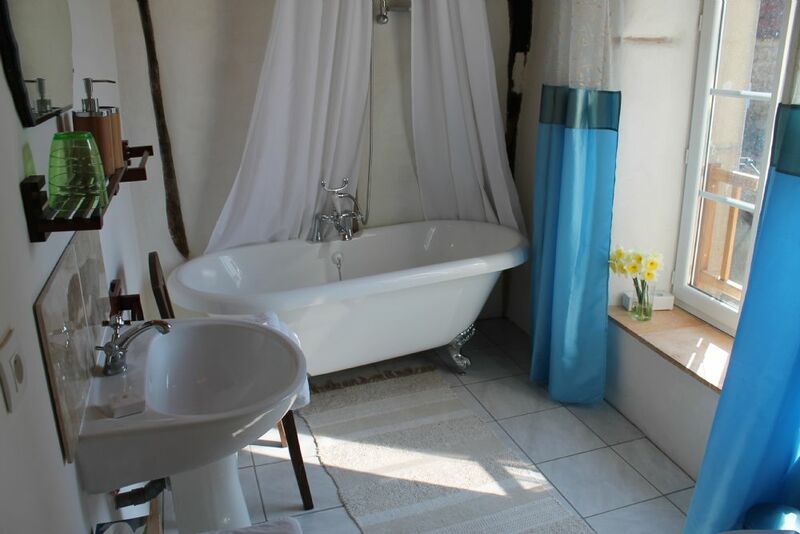 Baby bath, baby monitor, steriliser, potty, stairgates 2 in cottage on 1st & 2nd floors, plastic cutlery & sippy cups. Bath toys, kids books, general toys, U-rated kids DVDs, lovely large selection of childrens books, puzzles, games. Buckets and spades, ride-ons, trikes, play house, trampoline. Guests are welcome to dine at the neighbouring B&B every evening where the corden bleue trained chef can accommodate special diets. Small courtyard garden & terrace.